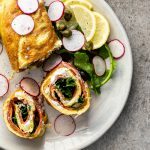 This easy omelet roll filled with Boursin cheese, smoked salmon, capers and arugula (rocket) is a delicious, showstopping brunch recipe. 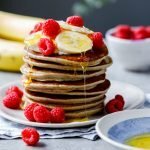 Finding impressive breakfast or brunch recipes that are easy to make can be tricky. 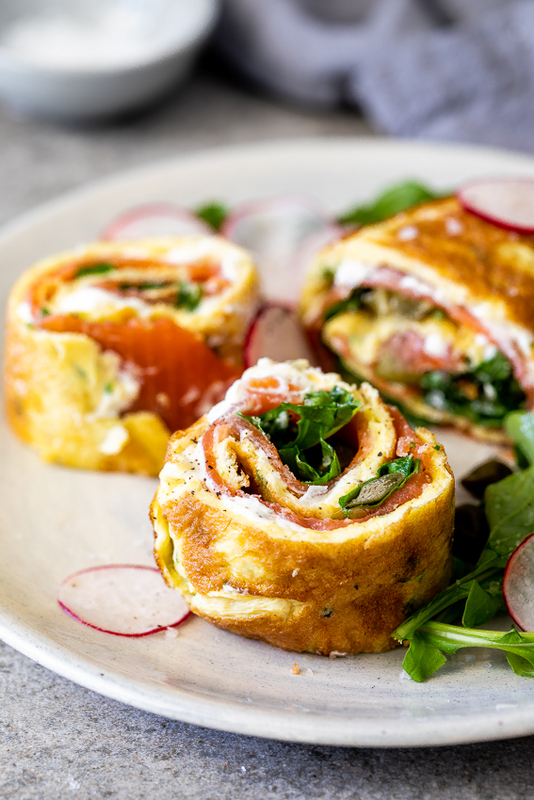 But this omelet roll filled with garlic and herb Boursin cheese and smoked salmon ticks all the boxes. 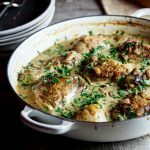 It takes minutes to make and can feed a crowd easily. 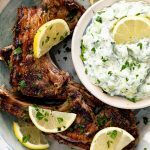 If you can’t find Boursin cheese, cream cheese is a great substitute. Garlic and herb Boursin cheese is a new favorite of mine and adds a ton of flavor to the finished omelet roll. 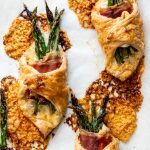 If you wanted to make this recipe vegetarian, wilted spinach can replace the smoked salmon and will be just as delicious. Whisk eggs and cream together then pour a thin layer of egg into a pre-heated, non-stick pan. Allow to cook until the egg is opaque and cooked through then carefully slide from the pan and repeat until you’ve used all the egg mixture. 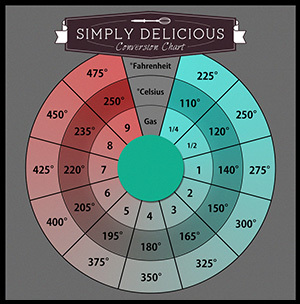 Beat the Boursin until smooth and creamy then smear onto the omelets. Layer on salmon, arugula (rocket) and capers then season with salt and pepper. 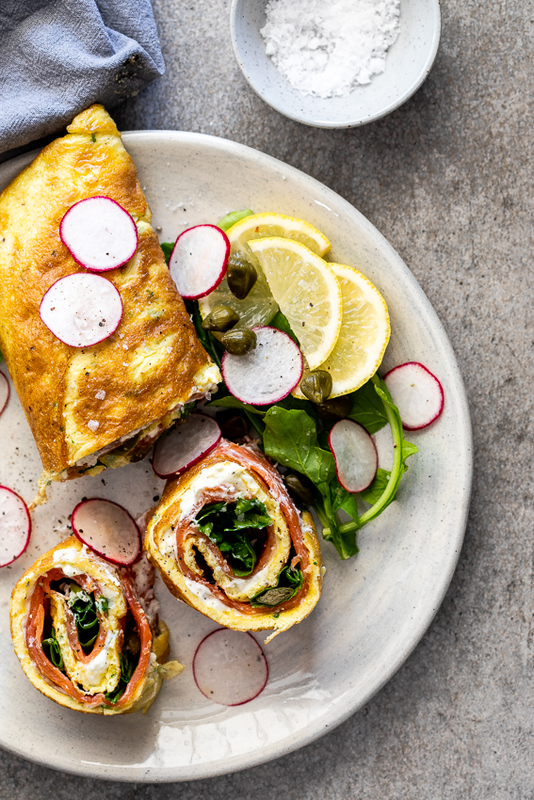 Roll the omelets up and slice into thick slices before serving with fresh lemon. 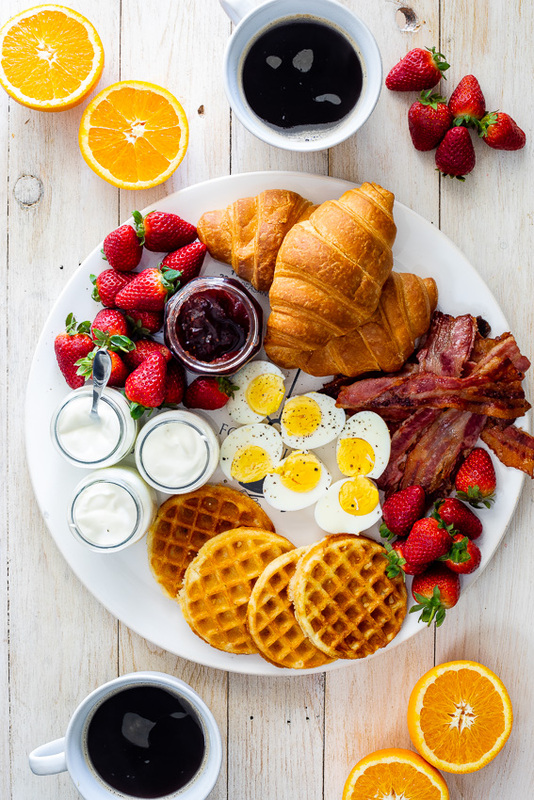 What can I serve for brunch? Whisk the eggs and cream together then pour approximately half of the mixture into the pan, swirling like you would when making crepes, to form a thin omelet. 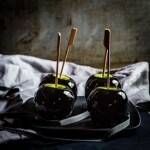 Season to taste then allow to cook until the egg is opaque and cooked through. Carefully slip the egg from the pan onto a plate/cutting board and repeat with the remaining egg mixture. 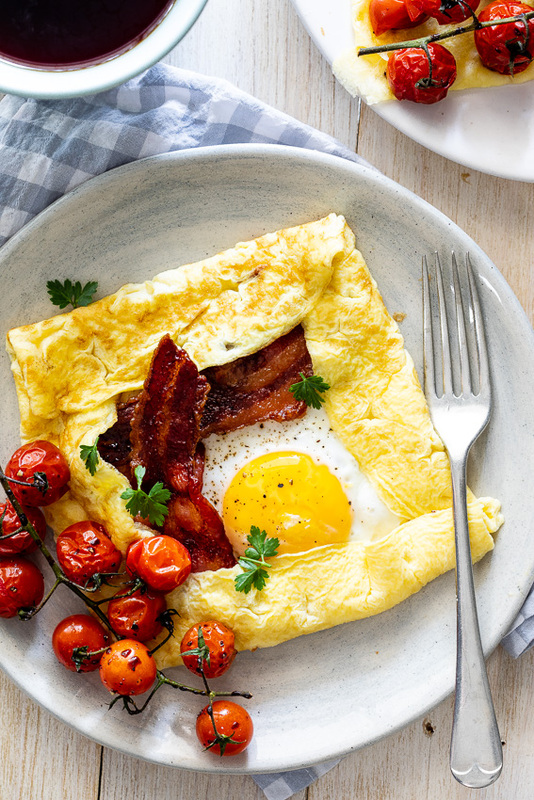 Depending on the size of your pan, you should get 2-3 thin omelets out of the egg mixture. 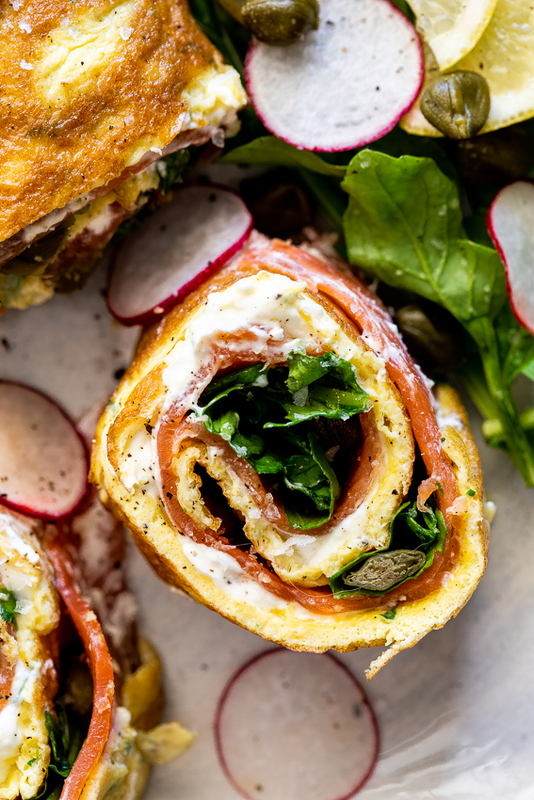 Beat the Boursin and cream cheese until smooth and creamy then spread onto the egg omelets. Top with the smoked salmon, arugula (rocket) and capers then season to taste. Slice into thick slices and serve with lemon wedges. What an elegant meal Alida! Love Boursin cheese. Can’t wait to try this recipe!